The Audi A6 is now in its eighth generation. Once a decade or so, the fates align to give us a grand showdown between the three old rivals: BMW, Mercedes and Audi. Now, it’s on. With the arrival of the all-new Audi A6, each of the three German luxury powerhouses have a new sedan vying for the luxury mid-size crown. In BMW’s corner is the 5 Series, while Benz is offering up the E-Class. The showdown between the big three German luxury brands is coming at a crucial moment. For the first time, Audi is close to overtaking BMW as the No. 2 German luxury brand in Canada. As of April, Mercedes had a strong lead, but Audi’s sales trailed BMW’s by less than 200 vehicles, according to data from GoodCarBadCar. With the 2019 model, the mid-size A6 enters its eighth generation. It can trace its roots back 50 years to the 1968 Audi 100. The idea with the all-new model was to double-down on design and technology, the things that are already working for Audi. “Customers are spending a lot of time inside this car, so the design of the interior and the feel, that’s becoming more important,” Schmidbauer said. 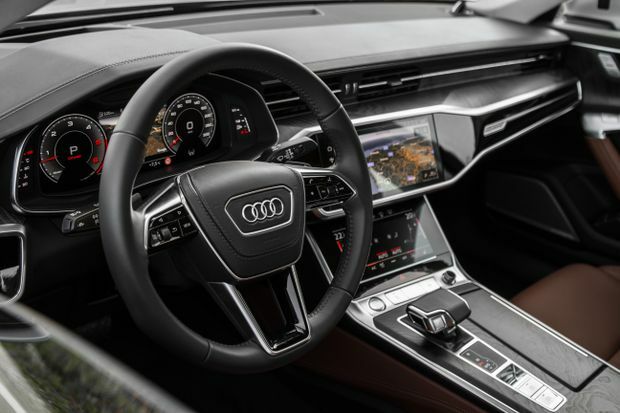 Step inside the cabin of the A6 and it’s easy to see what she’s talking about. The futuristic cockpit – which has two haptic-feedback touchscreens integrated neatly into large black glass panels covering the dash – is essentially copy and pasted from the A8. It’s a high-tech spectacle, quite different from rivals whose cabins are more conservative (in the case of the BMW) and more ostentatious (in the case of the Mercedes). The interior, that wow-factor when you get into the car, is the A6’s biggest strength. For the new model, Audi refined the design and technology. But so much technology can put some buyers off. “This is the hard thing, bringing new technologies into the car, but making customers able to use it really intuitively,” Schmidbauer said. It’s something all automakers struggle with. A6 customers are, on average, more than 50 years old. The A6’s infotainment ranks with the best in terms of ease of use, but it can still be distracting, and there is certainly a learning curve if you want to fine-tune the settings or, for example, get the car to read out your emails. Compared with the impressive cabin, the driving experience is initially unremarkable. It’s perfectly competent. The steering is precise, if always light and a bit artificial-feeling. The ride is comfortable without being wallowy on our test-car fitted with optional air-suspension. But, handling doesn’t immediately stand out. 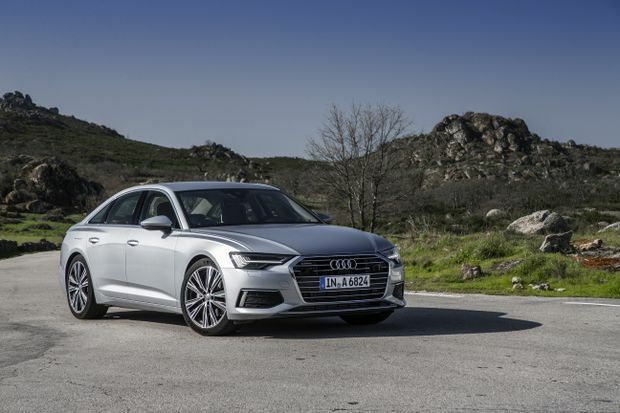 With more seat time though, you begin to appreciate some of the A6’s finer handling nuances. It feels as solid as a block of granite as it rolls down the road. It’s a calm place to be. 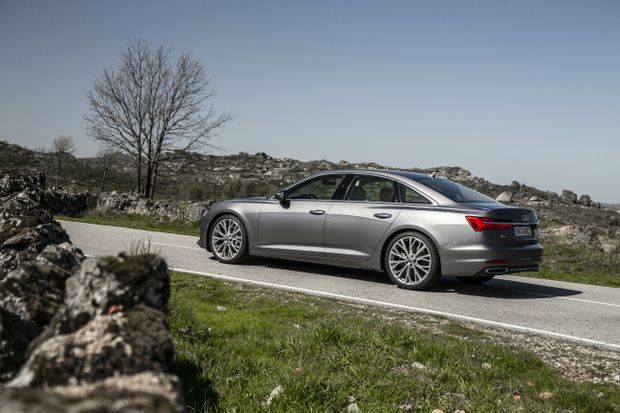 The new rear-wheel steering system – always a welcome addition on a big car – effectively shortens the wheelbase, making the A6 much easier to manoeuvre in heavy traffic or a crowded parking lot. 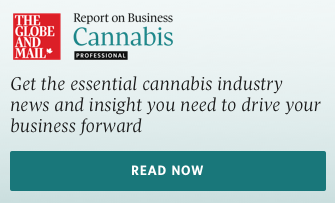 You won’t want to go back to the old days when cars only steered with two wheels – how crude. Audi may be the youngest of the three German houses, but the sales momentum has been with it over the last decade or so in Canada. The company’s focus on clean, modern design, high-tech cabins and all-wheel drive is paying off. The A6 sedan is unlikely to be the car to propel Audi sales past rivals – the biggest sales growth is coming from SUVs – but mid-size luxury sedans are core models for every serious luxury brand. These are prestige products. Whichever firm can claim victory in this arena will likely have the best vehicles in other categories, too. First impressions are that it’s not a clear victory for Audi or any of its rivals this time around. The A6, Mercedes E-class and BMW 5 series each have a particular strength. If you want sheer comfort above all else, the E-class is for you. If you want entertaining handling, the 5 Series delivers. If, however, you prize design and technology above the rest, the new Audi A6 should probably be your first choice. The V-6 model will arrive in Canadian showrooms later this year, with a four-cylinder to follow shortly thereafter. 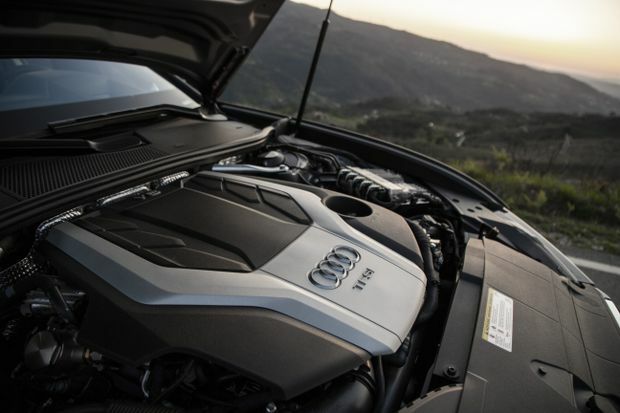 On paper, the A6's 3.0-litre turbo V-6 engine is the most powerful of its German competitors – with 340 horsepower and 369 lb.-ft. of torque. Audi’s recent styling direction has led to some hits and misses. The Q7, for example, is rather lumpen and the new Q5 seems to sag in the middle. The A6, however, looks great. It seems more luxurious and upscale than the outgoing model. The flares over the wheel arches hark back to the 1980 ur-Quattro, and they somehow suit the A6 better than its fastback A7 counterpart. The cabin is slightly longer than before. Of all the midsize luxury cars available now, the A6’s feels the most futuristic. Size-wise, the cabin is slightly longer than before and the new car is overall slightly wider. Audi claims its car has the most rear-seat legroom among core rivals, and it certainly feels spacious, but we weren’t able to test that claim. The driving experience is good, if not the best in any single area. Handling is taut, although not especially exciting. On paper, the 3.0-litre turbo V-6 engine is the most powerful of its German competitors – with 340 horsepower and 369 lb-ft of torque – but the BMW accelerates from 0-100 km/h a few tenths of a second quicker. The A6 is the only one of its competitors with a 48-volt mild hybrid systems, which Audi claims saves 0.7 L/100 km. Cloud-based voice recognition (similar to Siri or Amazon Alexa) will be available in English-speaking Canada on the A6 from launch, but will roll-out to French-speaking parts of the country later, although Audi couldn’t give an exact date. Trunk space is 530-litres, which is the same as the BMW and only 10 litres less than the Mercedes. Audi says the trunk opening is wider now, making loading awkward cargo easier. If your hands are full, you can open it by waving your foot under the bumper. The mid-size sedan to get if design and tech are your top priorities. You’ll like this car if … you’re going to spend lots of time behind the wheel.